Originally a dog with no name, Leo has become adept at catching rats on ships. After four different voyages, he has also become adept at avoiding humans. When Leo sneaks onto the Trinidad, with Captain General Ferdinand Magellan and his crew, he finally gets a chance to develop friendships with a few of the crew members. Leo even gets his name after saving Marco, the stowaway's life. 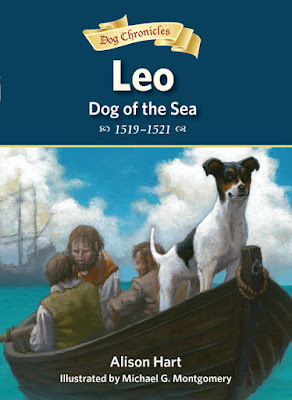 The first person narrative through the eyes of Leo, the dog works well with historical fiction rich in detail of the hard life aboard the ships. From vivid descriptions of sailors suffering scurvy to the harsh treatment of the natives from Magellan, readers grasp some of the horrors endured by historical figures and the lands and people they discover. While the adventures in the story are enough to captivate a young audience, the detailed facts of Magellan's journey and the back story of the role of dogs in history make for a must read. After spending years shooting hoops in his driveway, Richie Mallon's practice finally pays off when he makes his middle school basketball team. He looks forward to being the team's shooter but is disappointed when he is not a starter. His friend and team manager, Camila (Cammy), encourages Richie to step up his game by pointing out that though he may be great at shooting baskets, he lacks other important skills on the court. Her team stats back up her assertions that he could improve. Cammy convinces her dad, who is the school custodian, to let them practice in the gym. Here she helps Richie work on his rebounds. She also joins Richie on runs. Thanks to Cammy's attention to detail and persistence, Richie finds ways he can improve but will it be enough to make a difference for this season? 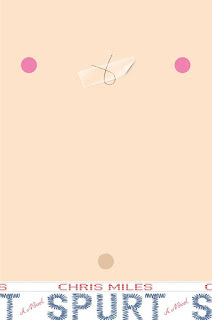 Author Fred Bowen's knack for capturing action in play by play scenes will keep the sports fanatic glued to the pages. Solid character development by way of the coach's insistence that the players are family and Richie's realization that he has it a lot easier than some of the other boys on the team help expand the reader's world beyond basketball. 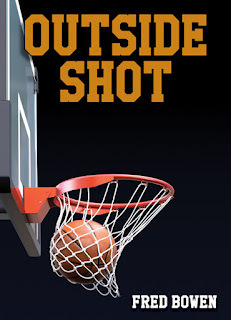 A brief history of some of basketball's great shooters help cement the story as a solid read. 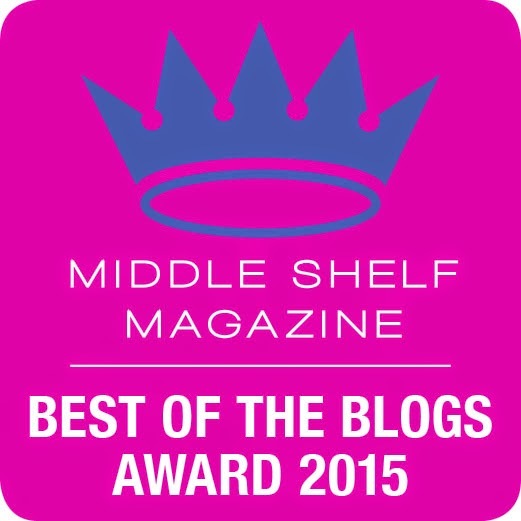 Please use the Rafflecopter form to enter. By entering, you acknowledge you have read the terms on the form. Winner will receive a copy of Outside Shot by Fred Bowen from the publisher. Giveaway ends 4/11/2017 at 11:59 EST. 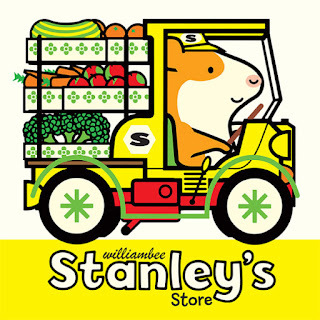 Stanley the hamster is back and hard at work getting ready for a busy day at his store. He's unloading fruits and vegetables from his truck while inside Hattie helps Myrtle find cheese, lots of cheese. It's a good thing for Myrtle that the store offers delivery. 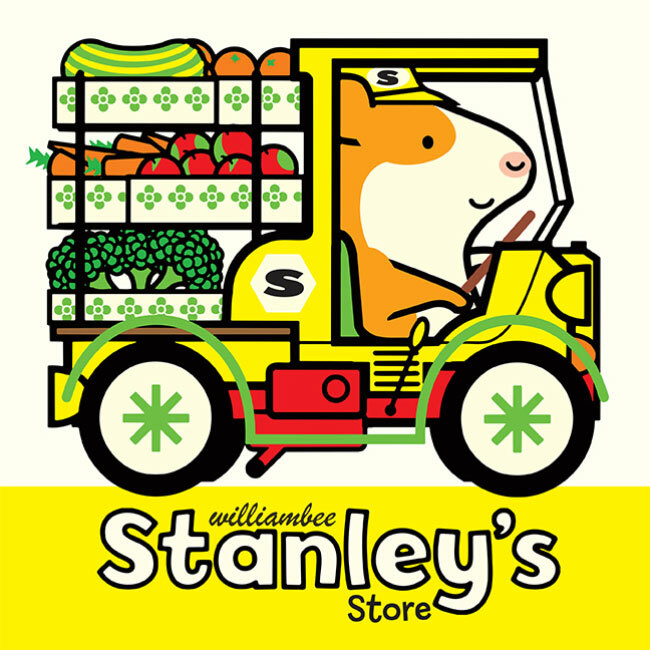 In the meantime, Shamus and Little Woo have plenty of groceries for Stanley to ring up. It looks like Little Woo got a little carried away with the sweets. Thanks to Charlie, not everything goes as planned at Stanley's store. 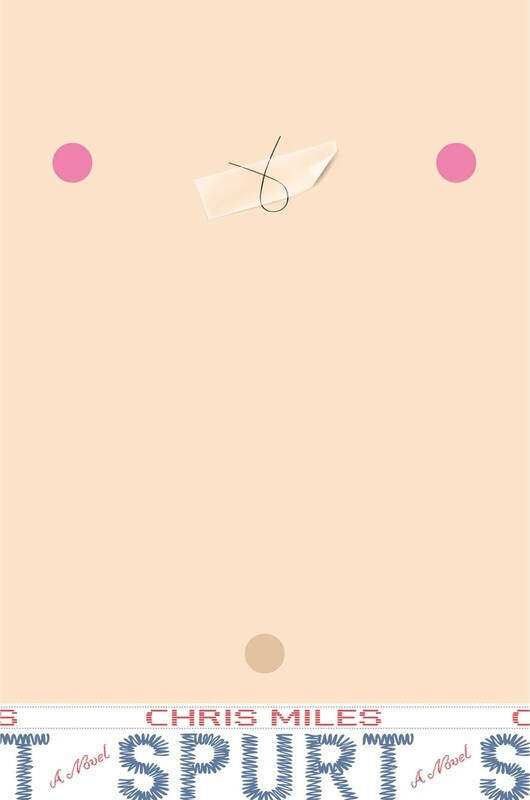 Bee's use of bright colors and bold illustrations capture the attention of the preschooler but the fun really belongs to Stanley. Who can't help but love this hardworking and charming hamster?